Con Air :: Movie Information :: RabbitTV GO! 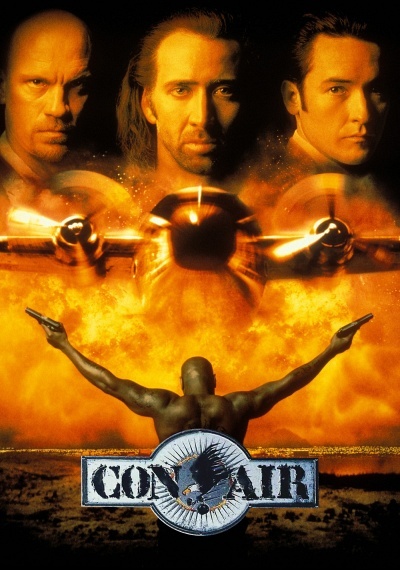 From the hit-making producer of The Rock and Crimson Tide comes the hard-hitting blockbuster Con Air, starring Nicolas Cage (National Treasure, Gone In 60 Seconds, The Rock), John Cusack (Grosse Pointe Blank, High Fidelity), and John Malkovich (In the Line of Fire, Dangerous Liaisons). A prison parolee (Cage) on his way to freedom faces impossible odds when the maximum security transport plane he's on is skyjacked by the most vicious criminals in the country ... led by the infamous murderer Cyrus "The Virus" Grissom (Malkovich). Buckle up and hang on tight as explosive high-flying action soars to spectacular new heights in this must-see Extended Edition!